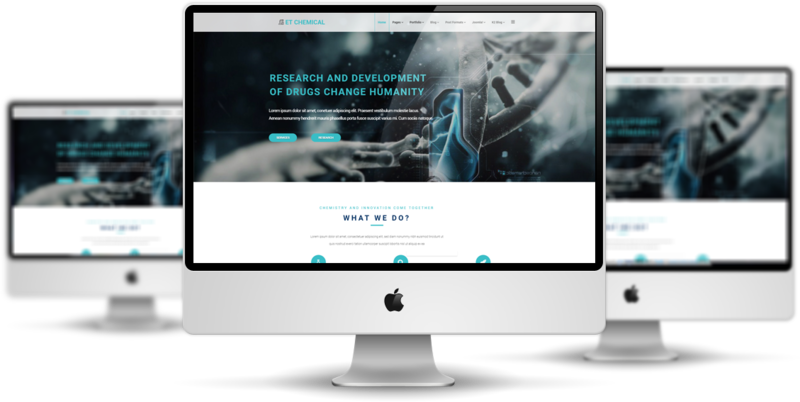 ET Chemical is Responsive Joomla! 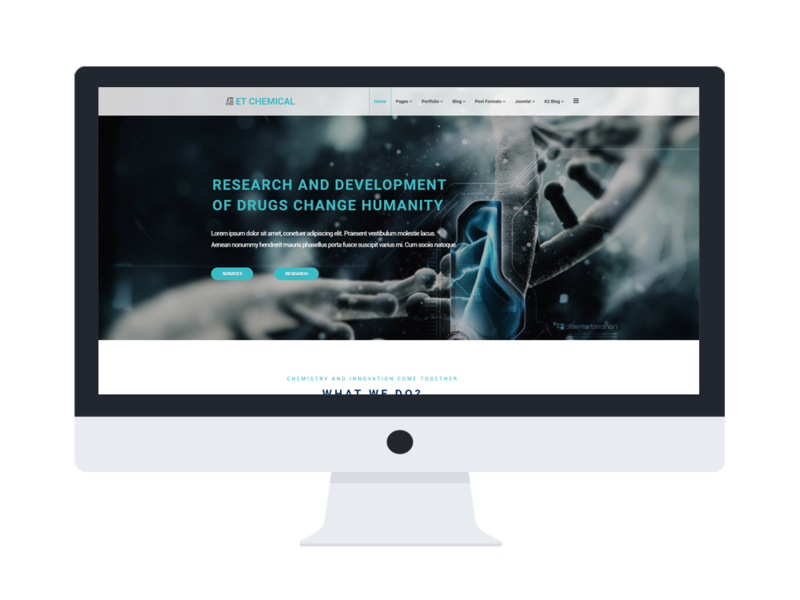 template can help you create a professional chemical company website in a wink. 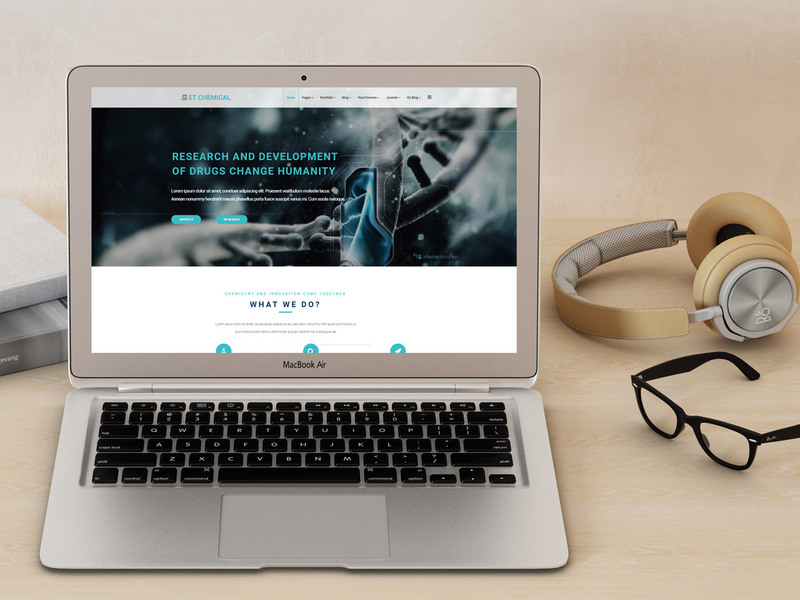 The Chemical Website Templates promote a clean, professional look which introduces the readers straight to the matter of interest for the day using great sliders and images. It uses basic colors to create a professional and clean look. It builds with latest Bootstrap CSS Framework, Support Font Awesome and K2 extended style. 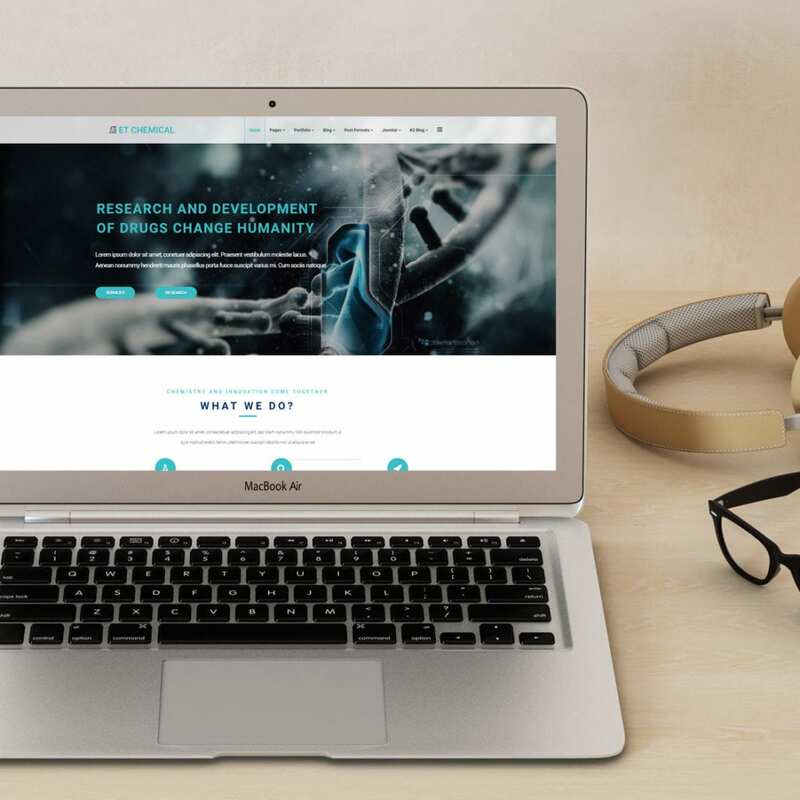 In addition, this theme has a 100% responsive design which helps to display your site perfectly on any screen resolution of any modern handheld device of choice. And we have also ensured they are compatible with all contemporary browsers and load fast even on slow internet connections. 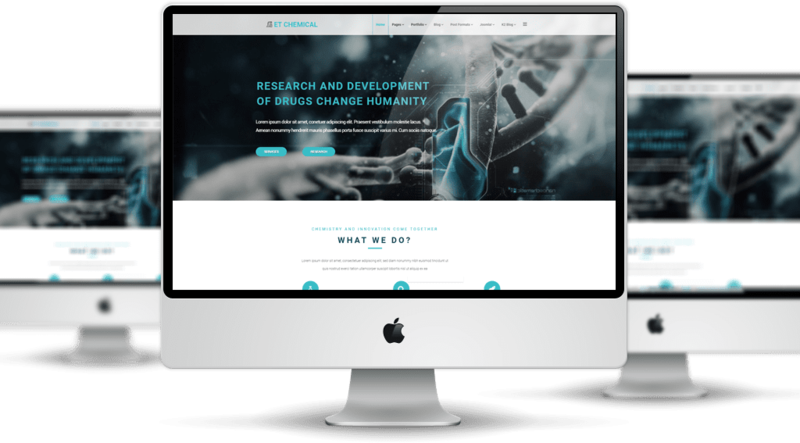 Furthermore, Chemical Website Template also comes with 4 colors schemes and boxed layout helping to create professional websites with various layouts. 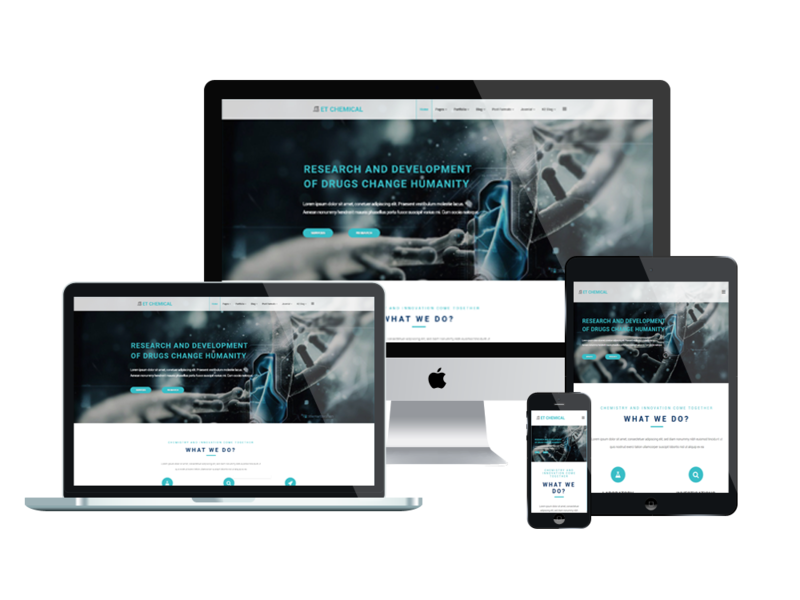 Save yourself a lot of time by using any of these ready-made Chemical Website Templates to make your chemical company website go online! ET Chemical Website Template is simple, clean looking template designed mainly for new business websites. It’s easy to custom and edit content via convenient template parameters. ET Chemical Website Template with fully responsive layout based on Bootstrap CSS. It has special built-in design optimized for modern mobile devices iPhone, Android and Windows Mobile-based. 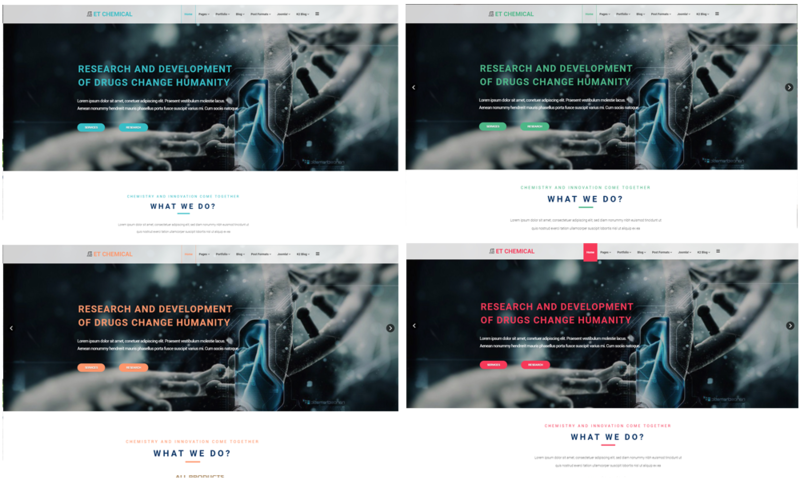 ET Chemical Website Template supports 4 color styles helping to create gorgeous websites with various layouts. Besides, the template comes with flexible homepage which includes boxed and full width layout. You can see demo via Template Site Tool on demo site. It’s also easy to extend color styles.